Patina House & Studio Exposing the beauty of a worn and weathered life. I can not believe I finally got this Family Command Center done! It’s been on my To-Do list for OVER a year now. Sad isn’t it? Oh well, its finally all put together and I wanted to tell you about it as well as show you what it looks like. My definition of a Family Command Center is a centralized location of what is going on with everyone in our family. Its a place everyone knows to check daily to make sure of what they may have going on (exp. dentist appointment, practice, project due, family members birthday, etc…) as well as if mom or dad will be out that day. Its a place where important papers are placed, mainly papers from school that need to be read or signed. They know those signed papers will be waiting in their bin the next morning ready to grab and go. I use this place to post all of the important and maybe even not so important information on the calendar. This is so helpful, especially to me for a morning glance as I am guzzling sipping my coffee. My Command Center is composed of a baby bed mattress spring to hang reminders on from school or reminders from me to me. 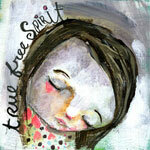 Children’s artwork, photographs, scriptures, and inspirational prints can be found here too. 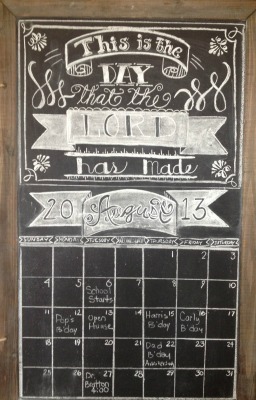 The chalkboard currently has a saying as well as this month’s calendar with important dates noted. 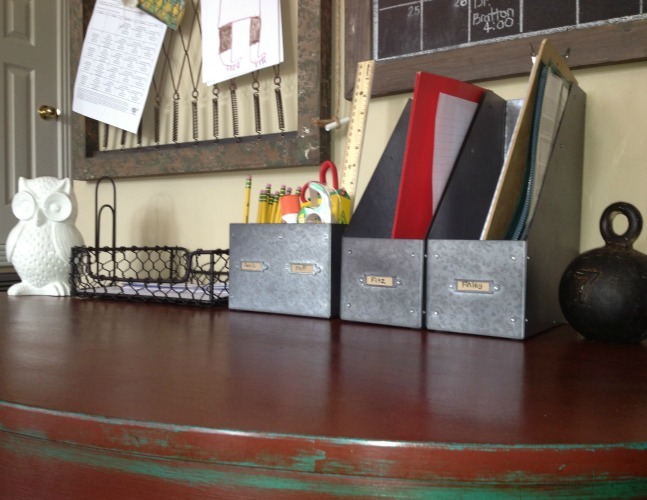 Also included here are two galvanized magazine bins that I just love. One is labeled for each child and this is where all items they need me to see or sign from school goes to each day. A metal letter tray on this table is a place for important things that I need to address. You honestly can make your Family Command Center custom fit just for your needs. I have only had ours together for this month and am noticing a few resourceful things I may add to it. But I must say it is quiet a lifesaver timesaver especially in the early morning rush getting the kids off to school. We stop by it and glance over it then head to the car. 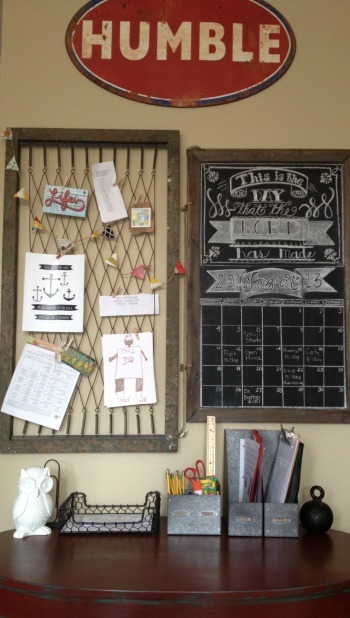 The chalkboard is my favorite part. First of all, I had the BEST time doing my very first Chalkboard Art Project. I searched the web over and would you believe I could not find what I was looking for? So, I just went for it. I knew I wanted the main purpose of the board to be a family calendar, but I didn’t want the entire thing to be a calendar. 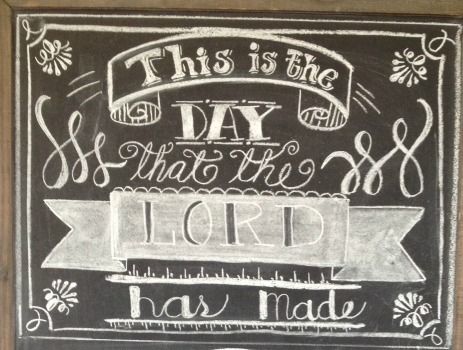 So I thought and thought about what to write on the top and decided to go with “This is the day that The Lord has made”. It just really seemed to go with looking at each day on the calendar. It will work for now, but I cant wait to start thinking of what will appear on there next. The items featured in my Command Center came from a couple of different places. The table that I absolutely love, was previously used for a display area in a local gift shop. It was in pretty rough shape when I approached the store owner and asked if she would be interested in selling it. She said sure and I got it for a steal. One DIY project (Tutorial coming soon) later and there she is. I just can’t get enough of turquoise and red! (By the way red happens to be my favorite color so plan on seeing more.) The hanging baby bed spring as well as the large chalkboard were both purchased on Antiques Farmhouse. Oh My Goodness! If you have never shopped there then I say RUN check it out! I cant get enough of that place. The wire letter tray is from World Market and the two magazine bins for the boys and the cute white owl are from my go to place, TJ MAXX. 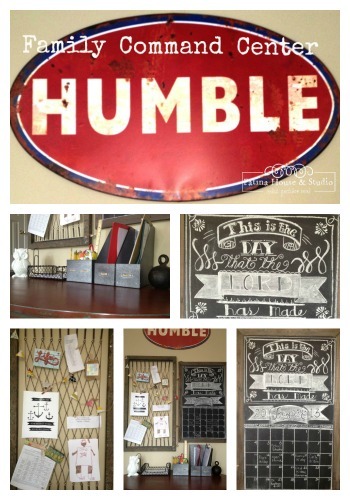 My awesome Humble sign was purchased from Lucketts. 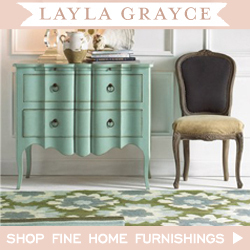 A GREAT place to find vintage hip home décor items. So there ya have it. I truly hope you give a Command Center a try. It really has been a fantastic addition to our home. And so it finally begins…..My very first Post! I have been waiting for this day for a very long time now. I finally did IT! I jumped in with both feet and landed in the Blogosphere! I have to tell you I would not be here if it were not for The Blog Class, by Emily & Ryan over at one of my very favorite blogs, Jones Design Company. I did the class and here it is. 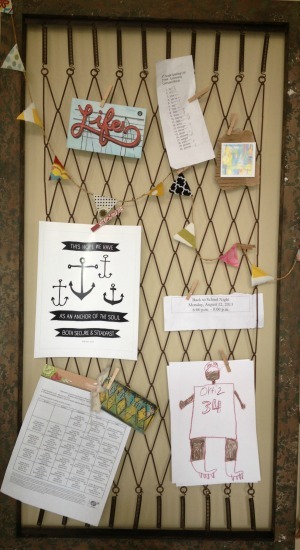 My very own blog, Patina House and Studio. The name is full of meaning to me. First of all, I LOVE patina on any surface. Brass, copper, an aged window, fence post, etc. I love the natural beauty of time worn things. When I was thinking of a blog name I kept thinking about the word patina and the beauty that it represents. One day out of the blue it just all came full circle. Patina! Yes, Patina House & Studio! The way it applied to me so deeply was the word described “me”, the way I see myself in this amazing season of my life. You see, who I am today is a result of years and years gone by of heartache, joy, disappointment, happiness, growth, and the list could go on. It represents the myriad of life experiences and lessons that have brought me to who I am today. Hence the layers. The patina. I am who I am because of the beautiful layers of life that have occurred. So, with that being said, my hopes are to expose the beauty of a worn and weathered life! What I share comes from my experiences, my past. Even though some of my layers are not so pretty, they contribute to my patina. I do hope you will come back regularly and see what I have going on. I will be featuring DIY tutorials, projects, sharing things I love, offering stories of how my FAITH carries me and slowly but surely unveiling my story as an artist and sharing with you my work. Hopefully before too long, I will have selected pieces of my artwork for sale on here! This is so exciting to me! My hopes are to post regularly on Monday, Wednesday and Friday’s. Please subscribe over on the right hand side so you will not miss a post. 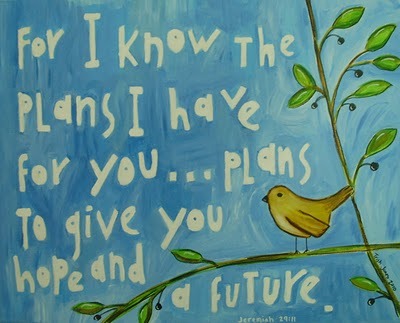 In the meantime I want you to remember that God has a beautiful purpose for your life! A unique story written just for YOU! Hi there!! I am so happy you stopped by. 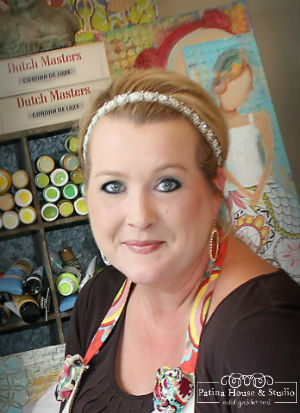 My name is Gretchen Neal and I am the author/artist behind Patina House & Studio. I am over the moon about starting this journey of journaling our upside down crazy life, latest DIY projects, occasional recipes, my artwork and most of all sharing my life of Faith while anchored to a disability that limits my daily life. I would love to get to know you. Be sure to subscribe below so you won't miss a thing. https://www.yahoo.com/ on And so it finally begins…..My very first Post! christy on Our Finley….an update. Wanda Laird Griffin on Our Finley….an update. © 2019 Patina House & Studio. All Rights Reserved.